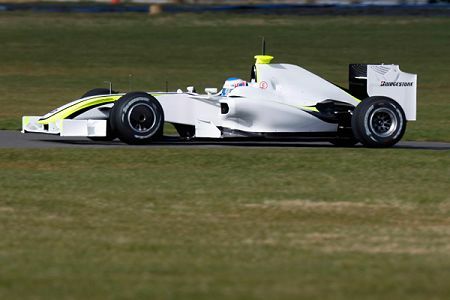 Almost all the 2009 F1 cars have been unveiled, we just have to wait for the Toro Rosso—which I presume will look very similar to the Red Bull RB5, and the newly named Brawn Racing. 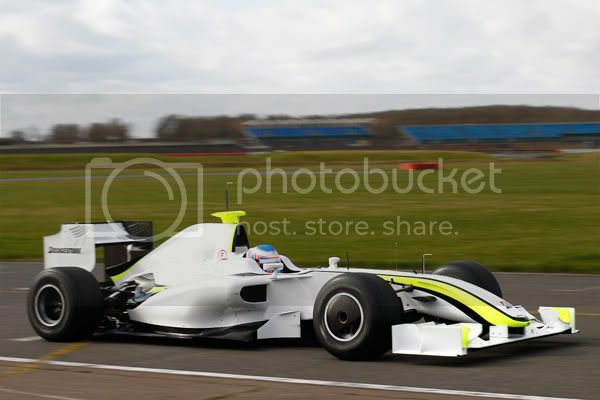 Today though, I bring you the very first pictures of the new Brawn Grand Prix BGP 001 F1 car, formally the Honda F1 team. 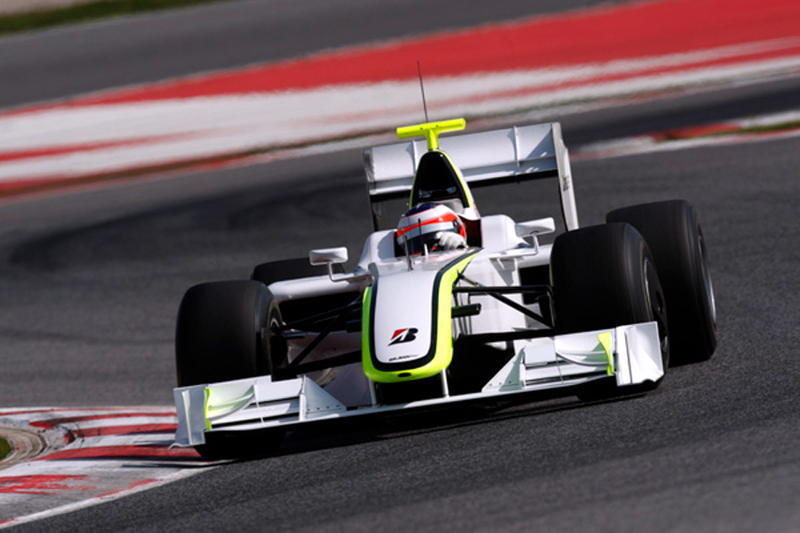 The car currently supports a white livery, with fluorescent yellow lines running from the nose to the rear. This will obviously change when the car reaches Melbourne later this month, and will hopefully feature some sponsors.